Earlier in the year, I decided to see “Promise Of The Future” Stage Play with a friend and her cousin. I love plays (or theatre as the fancies call it), so I had been hounding said friend to come with me to one. After one or two cancellations, she finally obliged. She had heard about the play from her cousin, who is course mates with the playwright. So off to Terra Kulture we went. I had only been to Terra Kulture once before, to visit the Ituen Bassi store. It’s a pretty nice space, though as with most places in Naij, there is no parking (this drives me nuts, I just don’t understand where we expect people to put their cars). The space where the play was staged however left a lot to be desired. First of all, there were a lot of flies, flies everywhere! It made watching the play a little uncomfortable. Second, there was a power outage in the middle of the play and it took a little too long to get power restored and the play up and running again. I think what I had in mind going in was something comparable to the Muson Center—more dignified looking, I guess. Finally, there were not enough chairs in the hall, so every time a new set of people came in, they would start arranging chairs for them. This caused a little bit of noise, so it was mildly distracting, but more importantly, I think it showed lack of planning. But back to the play. 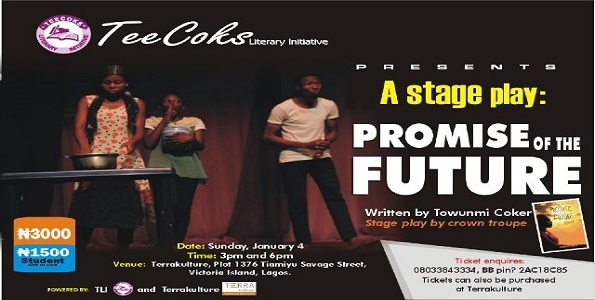 The play was written by a Medical Student at Unilag, and depicted the story of a young girl who hits hard times when she loses her family in a fire. She is subsequently taken in by a family friend and is put to work as a house girl. 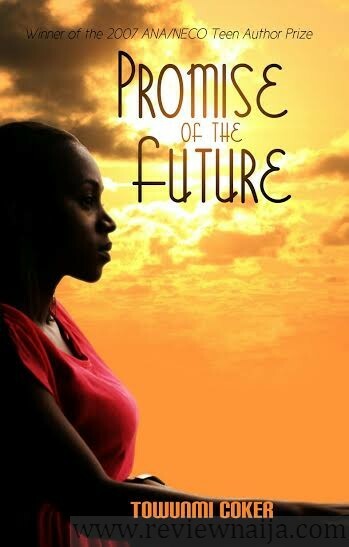 She faces sexual and physical abuse, teenage love and other obstacles in her quest for education. Eventually, she is able to attend university, get married and have kids, with one last blow- she is diagnosed with HIV. I have to start by saying I was very impressed that the play was written by a medical student. I’m in law school and with my workload, it has taken me 2 months to write this review. So the fact that anyone can write a play in a challenging program like Medicine is commendable. The play had a clear goal: to show people that life can go on in spite of HIV diagnosis. And the goal remained pretty clear throughout the play. I thought the characters were pretty likeable and well-rounded. Nigerian films (though this was a play) have a tendency to oversimplify characters. That was not the case here. The play had a lot of music incorporated in it, and I thought the singing was quite good. The play cost #3,000 for adults, and #1,500 for students. So pretty cheap enjoyment and a welcomed departure from the usual Nigerian fare. The acting was not great. Not atrocious, but not the best. The costumes used were very barebones. I think it took a lot from the believability of the characters. It made it hard to take them seriously. There were too many twists and turns, it was almost hard to follow. I wish the storyline had been cleaner. All in all, I just might give Terra Kulture another shot for a play—it’s the theater lover in me. For those not so inclined, you may find the flies and chairs too much to take. For me, it was nice to see a play in Lagos.